The handle is covered with high-quality rubber, that is why it doesn't heat up even with extended use. Plus, it makes the grip more comfortable. The round waffles it cooks can't be further divided into 4 pieces. 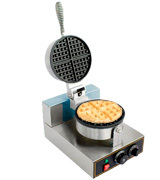 The Liquor 4PCS Stainless Steel waffle maker is a heavy-duty machine that can bake up to 4 round waffles in one go. It's a solid investment for large-scale companies. 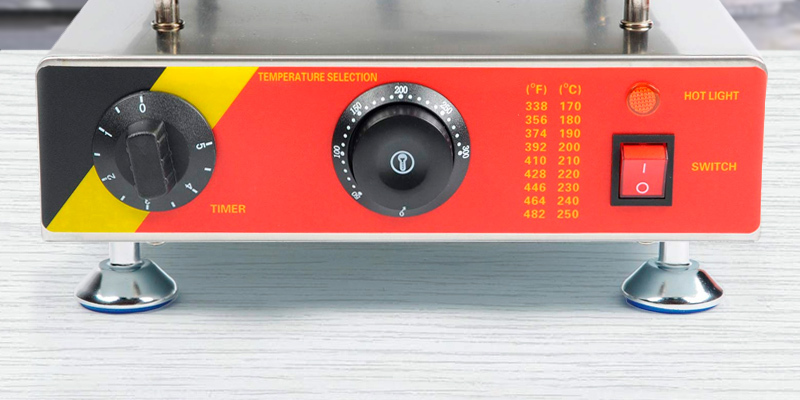 11.8" x 13" x 11"
Equipped with a unique multi-function control panel with digital display, it ensures precise temperature control over the cooking process. Excess humidity is destructive for wooden handles. The Golden Elephant Bubble industrial maker cooks spherical egg-based waffles that are very popular in Asia. This fact makes it an excellent choice for Chinese restaurants. 8.7" x 13.2" x 10.6"
The device boasts an advanced built-in thermostat that maintains the pre-set temperature with the accuracy of 1°F. All the markings are written in Chinese. The Vinmax baker is a moderately-priced device that can make yummy Belgian waffles. It's a good solution for gatherings and light commercial use (snack shops, cold drink stores, supermarkets). 9.8" x 14.9" x 11.8"
This waffle press is low in maintenance. 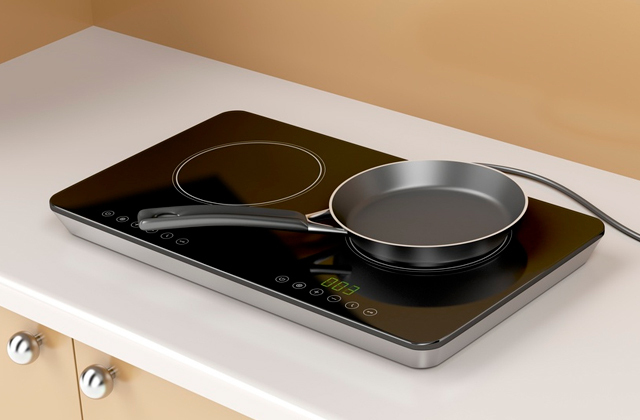 Both the stainless steel housing and the non-stick cooking plates can be wiped clean with a damp cloth after use. 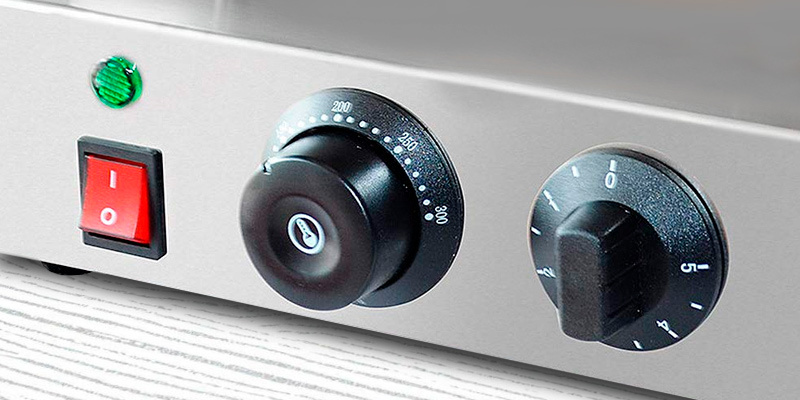 Adjustable knobs might get hot during long use. The Funwill is one of the best commercial waffle makers for cafeterias as well as mini-hotels or hostels that serve a continental breakfast with Belgian waffles and other yummy snacks. 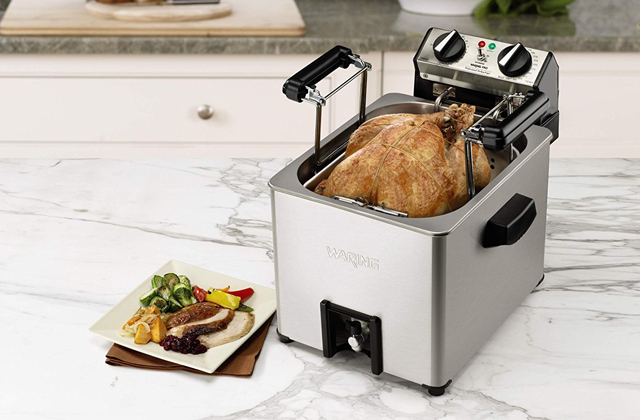 Engineered with a 1780-Watt heating element, the machine is extremely powerful and guarantees quick cooking results. Cleaning the cooking surface is a bit tedious. 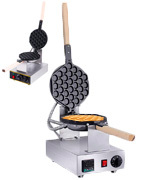 This commercial iron makes unique pine tree waffles that will attract more customers with its exquisite shape and amazing taste. And it goes without saying, they will be in great demand around Christmas time. 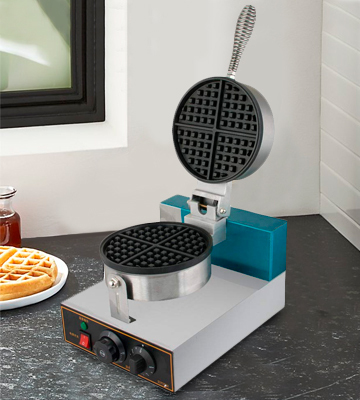 13.8" x 13.8" x 11"
If you’re after a heavy-duty machine that can bake 4 round-shape waffles at a time, the Liquor 4PCS Stainless Steel Electric Waffle Maker can satisfy your needs. 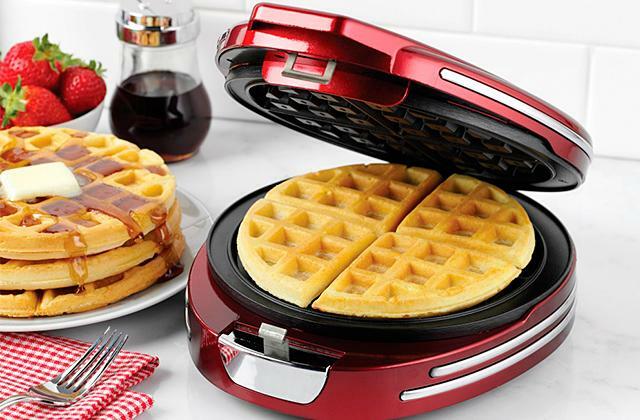 It is a gigantic device that combines the functionality of four mini waffle makers in one sleek casing, making it more efficient and energy-saving. Let's say a few words about design. 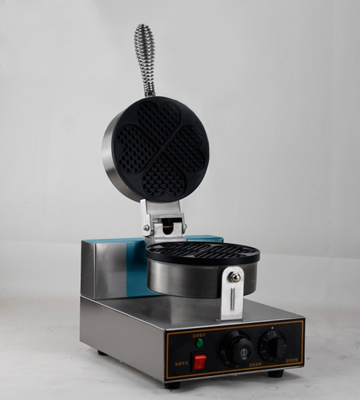 The Liquor 4PCS Stainless Steel Electric Waffle Maker is made with high-conductivity, fast-heating plates, featuring middle-sized grooves on top and bottom. Their snazzy circular design, along with a powerful heating element, allows for an even distribution of heat with no hot or cool spots. And the non-stick Teflon surface promises deeper fill with no batter burning. However, it's still recommended to lightly oil the cooking surface and let the waffle maker heat up for a couple of minutes before ladling the batter in. This will allow all four waffles to cook uniformly and produce a golden-crusted layer while being fluffy inside. 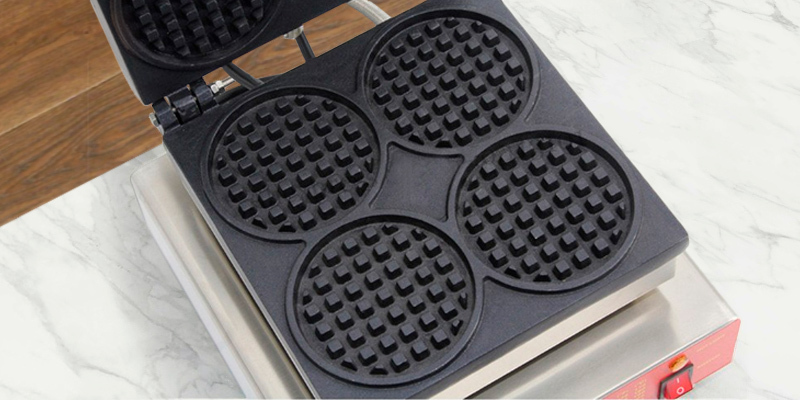 On average, the Liquor 4PCS industrial waffle maker takes 3-5 minutes to get the job done. That's not the shortest cooking time but the results are more than worth the wait. With each measuring 4.4 inches in diameter, you get the ideal texture and deep pockets to fill with maple syrup or any other topping you like. Bear in mind though that the size of one waffle is fairly large and if you're a small eater it can make you feel full sooner than expected. 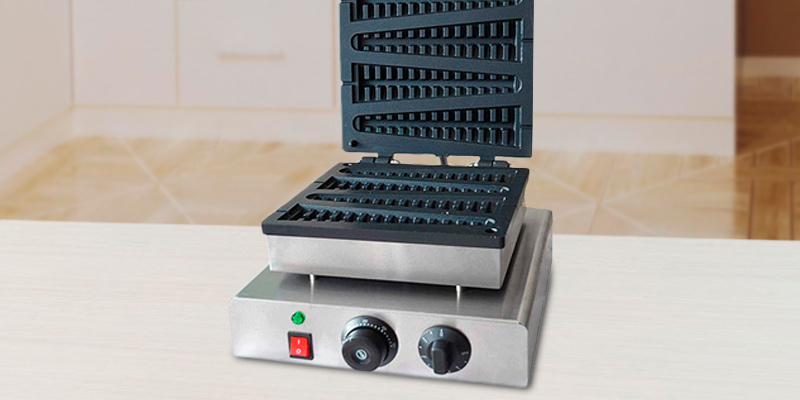 Made with a durable stainless steel shell, the Liquor waffle maker is corrosion-resistant and suitable for use in spaces susceptible to steam, such as restaurant kitchens and the like. It has a vibrant design and sizeable footprint of 13 x 11.8 inches, meaning it'll take quite a lot of room on a counter. That being said, what it lacks in portability, it more than makes up in functionality. 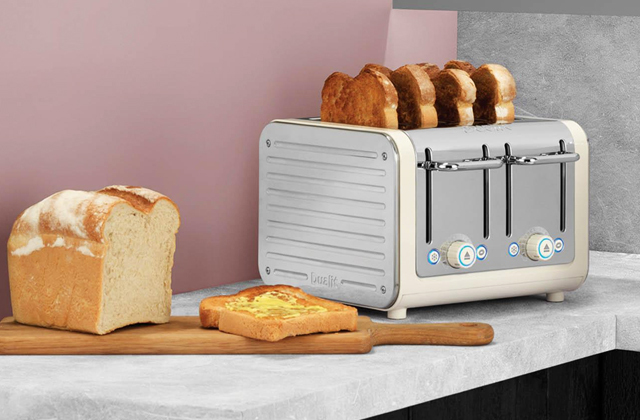 Fitted with a handy temperature dial at the front, it enables users to choose whether they want to heat it slower for a light waffle texture, or faster for a crunch and crisp texture. In other words, the variable temperature control enables you to make waffles just how you like them with a precise level of browning. For easy handling, the control panel is completed with an indicator light that will notify you when the set temperature is reached. Last but not least, the feature that contributes to the ease of use is the additional timing function, simply set it and forget. So, if you need a clever heavy-duty machine that can make up to 4 round waffles in one go, the Liquor is a solid investment for your business. 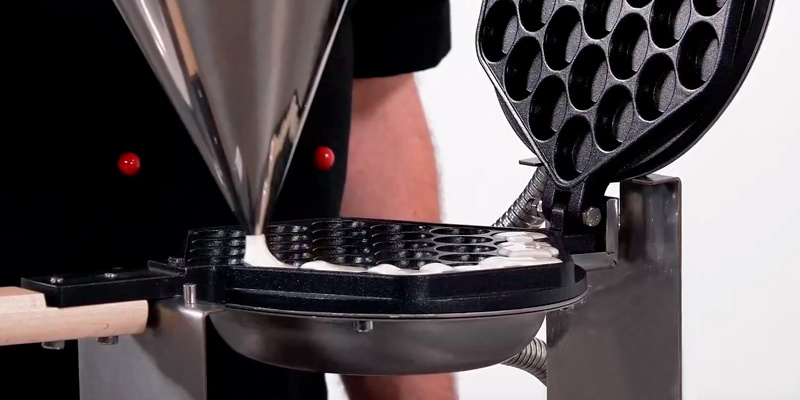 At first glance at the Golden Elephant maker, it becomes obvious that this machine looks different from most other commercial-grade devices for waffle baking. It looks like a pan with a long handle suspended over a mini electric oven. But actually, it's one solid appliance with a smart base and a durable, round waffle pot. Inside the base, there is an efficient 1400-Watt heating element that can heat up the baking tray somewhere between 122-482°F. 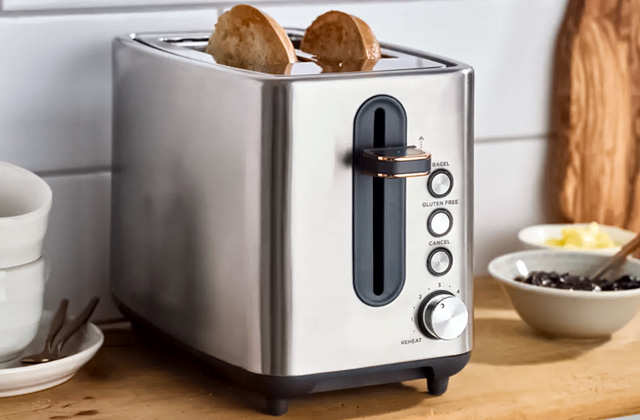 It warms up to the required temperature quickly, saving energy and allowing you to start baking delicious snacks almost right after switching the unit on. 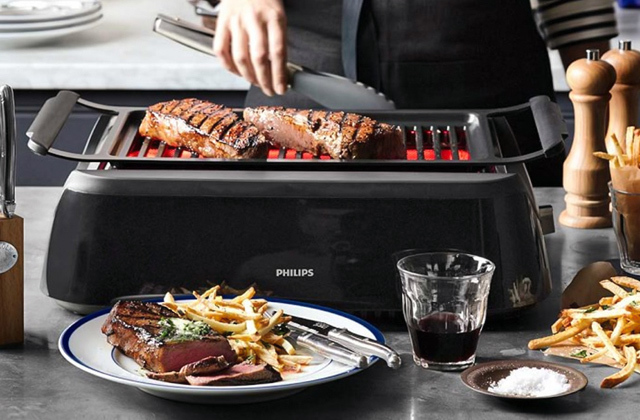 What is notable, the machine is equipped with a unique multi-function control panel that uses a digital display and ensures extremely precise temperature control over the cooking process. 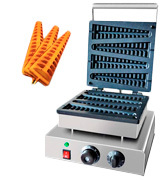 Therefore, you get hassle-free operation and the expected color of the waffles within each use. However, that's not the only edge above the competition. The cooking surface boasts three thick layers of Teflon coating, so you get non-stick plates that are very easy to clean afterwards. For worry-free maintenance, all the wires are wrapped in a stainless steel sleeve to prevent water and corrosion from ingress. The Golden Elephant maker is unique not only in the way it looks but in the way it cooks as well. Rather than standard Belgian waffles, it bakes spherical egg-based waffles with a crispy crust and soft interior. Waffles of this type are called egg puffs, eggettes or bubble waffles and are highly popular in Hong Kong and Macau. Egg waffles can be eaten plain or stuffed with fruit flavors such as strawberry, coconut or chocolate. Also, bubble waffles can be paired with different desserts like ice cream, though they are usually served hot. The crisp edges and soft oval “eggs” can be easily broken off for snacking. Egg waffles are currently being reinvented by famous cooks, so it's common to see them in a variety of unique flavors such as green tea, cheese, or purple sweet potato. Simply put, by getting the Golden Elephant egg waffle maker, you'll be able to experiment with flavors and toppings for your liking. Also, the capability of making egg puffs makes this waffle iron an excellent choice for Chinese restaurants. This waffle maker can really bring Asian vibes to your place. 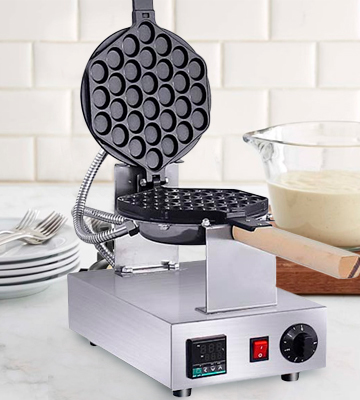 We have added the Vinmax Waffle Baker Machine to our list of the top-shelf products for two main reasons: it makes a large, beautifully browned, Belgian-style round waffle that can be divided into 4 pieces, and it's much more affordable than other commercial waffle machines on the market. That said, it's not poorly made or flimsy like you may expect looking at its price tag. The device is stoutly build and is very likely to serve you for a few years with no issues at all. The only negative thing we can say about this waffle maker is that because it was made in China all of its markings are written in Chinese, something we find not very practical. That said, most people are quite happy with it as is and say that they never had problems figuring out how to use its control settings since the operation of the device is very intuitive and straightforward. Speaking of which, there's a timer knob with 1-5 minute sections and 30 seconds increments to program the device to automatically switch off. 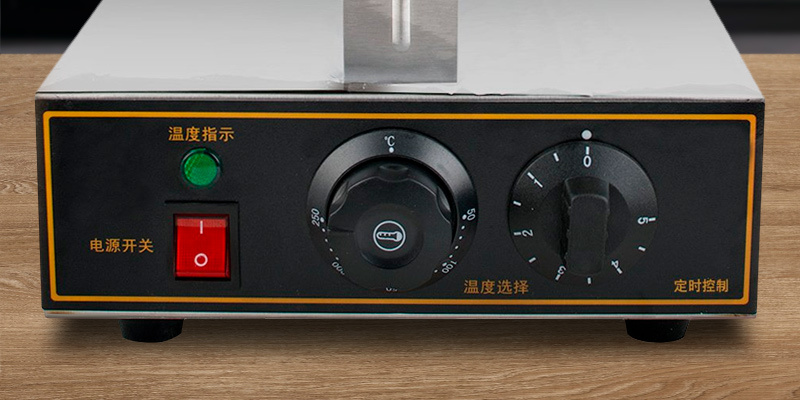 Next to the timer, there is temperature knob. Thanks to it you can customize the operation time depending on the topping you choose for your waffles. The temperature range of 122°F - 572°F is wide and allows you to make all sorts of waffles from light and soft to perfectly browned and crunchy. 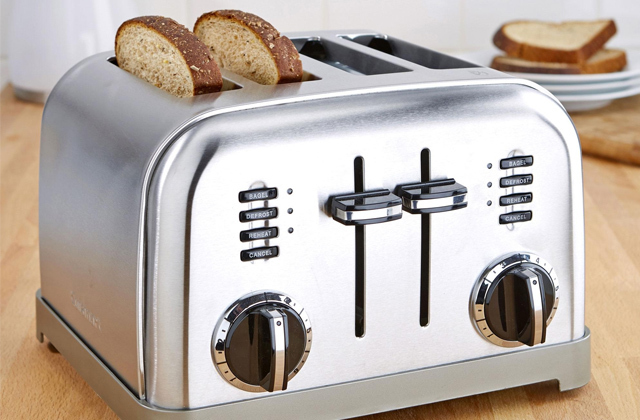 Furthermore, the Vinmax Waffle Baker Machine boasts an advanced built-in thermostat that maintains the set temperature with the accuracy of 1°F. But as China uses Celsius instead of Fahrenheit, be ready to search for a degree converter on the Internet (or use this one). Most of the aforementioned drawbacks wane rapidly as you consider a decent build quality of the machine. Like top-shelf products, this one is made from high-quality stainless steel that is resistant to corrosion, mold, and mildew. Even a threaded handle is made from stainless steel, so you can be sure it won't deform or crack in the course of time. Everything about this machine screams quality. 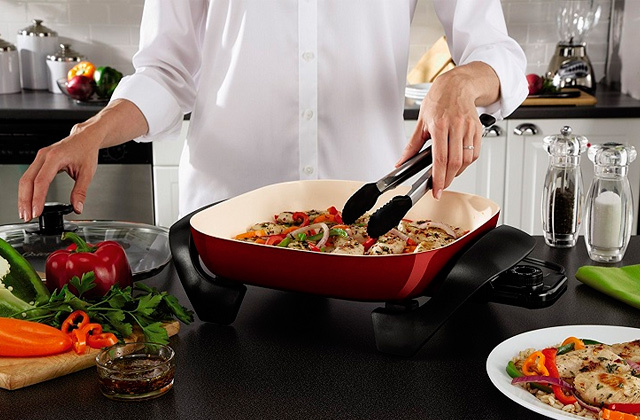 It has a large non-stick Teflon cooking surface that ensures effortless waffle release and fast clean up. By the way, the plates have quite deep grid squares, so you'll get fluffy Belgian waffles with deep pockets waiting to be filled with Nutella, berry syrup, or any other topping you or your family like. In all, there are a few design aspects that make the Vinmax industrial maker not ideal. However, it's not a bad solution either, especially for its price. We would recommend it to those people who are looking for a reasonably-priced device they could use for family gatherings, social gatherings, and light commercial uses, such as snack shops, drink stores, supermarkets, and the like. The Funwill Double-sided Belgian-style machine has a rather standard set of features and doesn't offer anything we haven't seen. However, adding it to this list was a deliberate decision, so that you can compare a few units side-by-side and take your pick. This model is featured with the 1250-Watt heating system and is capable of reaching any temperature in the 122°F - 572°F range (the unit comes with Celsius markings). The thermostat is very accurate and keeps the pre-set temperature flawlessly, letting you bake waffles as crunchy and brown as you like. We do have to note that the knobs here are not perfect. Made of plastic, they tend to get rather hot during long use, threatening to shorten the service life of the appliance. That said, if you treat it with care and give it some rest during extended use, the waffle maker will repay you with reliable operation. 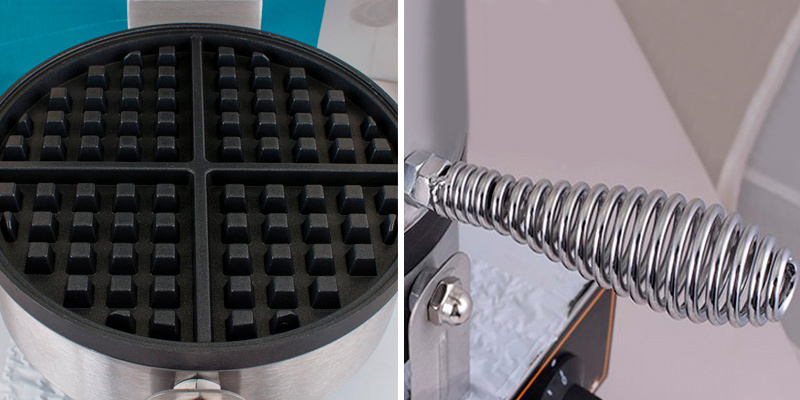 The Funwill Double-sided Belgian-style waffle press is unpretentious in maintenance as well. It has a stainless steel housing and non-stick cooking plates, both of which can be wiped clean with a damp cloth after use. Just let the machine cool down a bit. 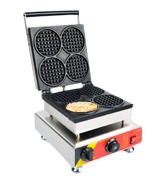 With all the basic cooking functions and low maintenance, the Funwill Double-sided Belgian-style machine is a good solution for cafeterias as well as mini-hotels or hostels that serve a continental breakfast with waffles and other yummy snacks overall, though we would not recommend it for all-day heavy use. To help you get accustomed to the Funwill press machine, we would like to give you the perfect Belgian waffle recipe for it. This basic recipe is enough for one batch of either sweet or savory Belgian-style waffles. If you need more, you can easily double or triple the quantities to make more snacks. Oil or butter to grease the grid. At first, you should mix the flour, sugar, baking powder, and salt in one bowl and stir the milk, butter, and egg in another one. Then combine everything and let the batter rest for five minutes. Switch on the Funwill waffle maker and grease its plates while it's heating up. Once the green light turns on, pour the batter into the bottom grid. Close the lid and bake for 3-5 minutes approximately depending on your preference. Open the lid and remove your freshly-made Belgian waffles. Fill the grooves with topping and serve the waffles while they are still warm. The Golden Elephant commercial-grade waffle baker is one of the strongest performers on the market thanks to its quick heat-up time and consistent cooking results. 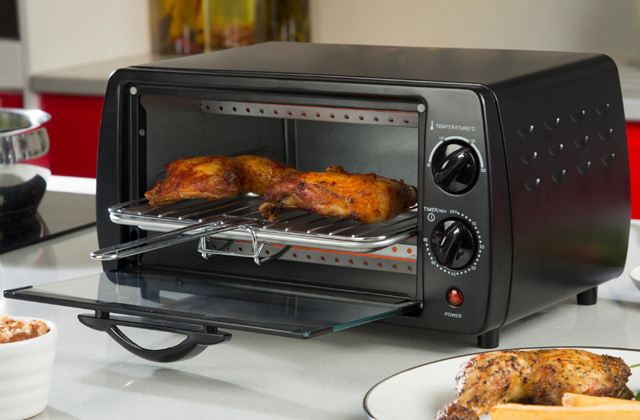 Engineered with a 1780-Watt heating element, the machine is extremely powerful and guarantees quick baking. Just 3 minutes will be enough for it to deliver evenly-browned crispy waffles. The machine is manufactured from stainless steel and cast aluminum. The aluminum is die-casted, which makes it stronger and almost impossible to break. Plus, cast aluminum materials are highly praised for their excellent electrical conductivity, fast heating time, and energy-saving properties. Also, the machine is designed with non-slip high-pin plastic insulation mats that prevent corrosion and prolong the lifespan accordingly. For easy clean-up, the unit has a Teflon coating and a removable drip tray around the bottom plate. The coating here is good but what we like the most is a removable drip tray: by collecting excess batter it helps keep the counter mess-free. All this makes the Golden Elephant commercial waffle maker an excellent appliance that will stand up to rigors of heavy use. As you've probably already noticed, the cooker makes unique waffles that look nothing like traditional circular or rectangular waffles. They are triangle-shaped and remind pine trees. 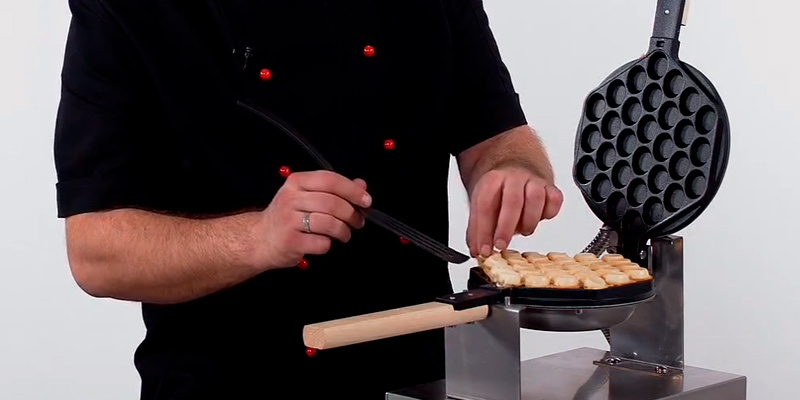 Such waffles are typically used with skewers and knowing this, the manufacturer has thoughtfully equipped each grid with a special guide hole for a skewer. Hence, right after you pour the waffle batter into each of four grids, place the skewers into those holes and close the lid. For golden crispy results, set the cooking timer to 3 minutes. Take note that opening the wafﬂe machine before the timer dings might cause the unbaked wafﬂes to split. Only when the cooking process is complete should you open the lid and remove the waffles by lifting the skewers that protrude from the wafﬂemaker. Even though the skewers jut out, it's recommended to use heat-resistant gloves when removing the skewers, since the wafﬂe iron gets very hot. Once you're done, you can complete your pine tree waffles with Nutella, jam, or any other topping for your liking. The yummy results are guaranteed. To sum it all up, pine tree waffles are a good addition to any dessert shop or restaurant that would like to attract customers with something unique and exquisite. And it goes without saying that pine tree waffles will be in great demand around Christmas time. What Is a Commercial Waffle Maker? Waffles are one of the most loved tasty treats in the history that now come in different varieties and tastes. Topped with maple syrup, berry jam, banana pieces, chocolate sauce, or even with sautéed mushrooms and cheese, they are perfect snacks for breakfast or brunch, lunch or dinner. Waffles are win-win on all levels! There's nothing like a tower of fluffy waffles piled high with different toppings for an indulgent meal. That's why, many restaurants, cafes, and dessert shops include crispy waffles in their menus. And a commercial waffle iron is what you need to make your business grow. It can bake large batches of waffles quickly and consistently to whatever browning level you prefer. For this review, we have selected the best commercial waffle makers that are produced from high-quality materials and can hold up well to daily use. 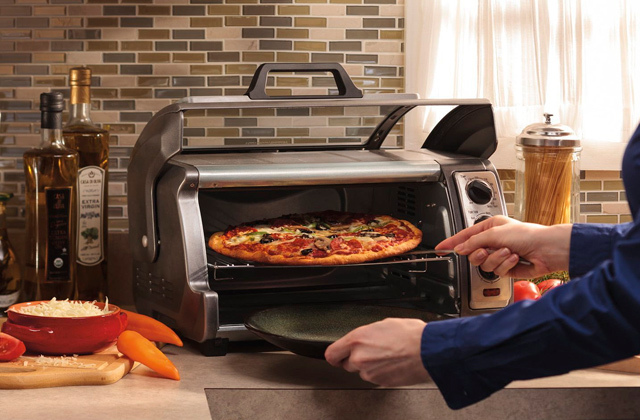 And in case you serve international cuisine meals, you may also want to add a pizza oven to your kitchen gadgetry. Pizza and waffles are one of those quick snacks people appreciate the most. 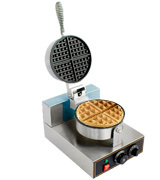 When choosing a commercial waffle press, you should primarily consider what type of waffles you'd like to serve in your restaurant. Since most American people prefer Belgian waffles, a majority of commercial waffle makers bake mainly this style of waffles. They bake thick waffles with deep pockets that can hold more topping. However, if you already own a Belgian press and/or want something more exquisite, you can consider waffle irons that make other types as well. For example, American waffle makers will deliver thinner yet crispier and more browned treats, while egg puff irons will produce bubble waffles that are gaining popularity right now. Also, you need to take into account the number of waffles a machine makes at a time and their shape. 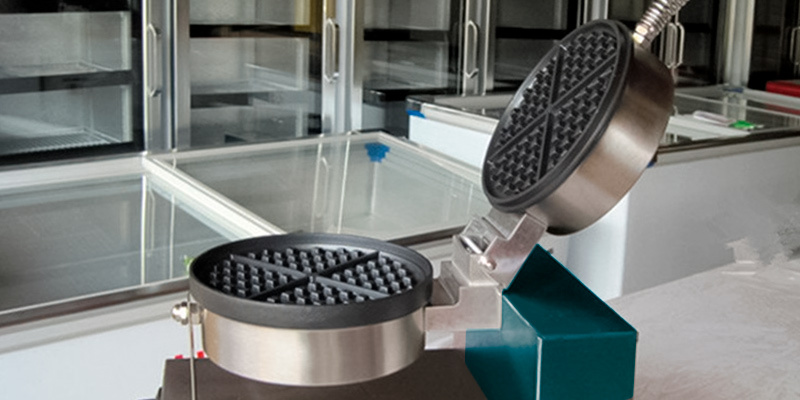 Although most models come with standard rectangular or circular grinds, you can find uniquely-shaped plates. This may be a great advantage if your restaurant plans to serve children' menu. 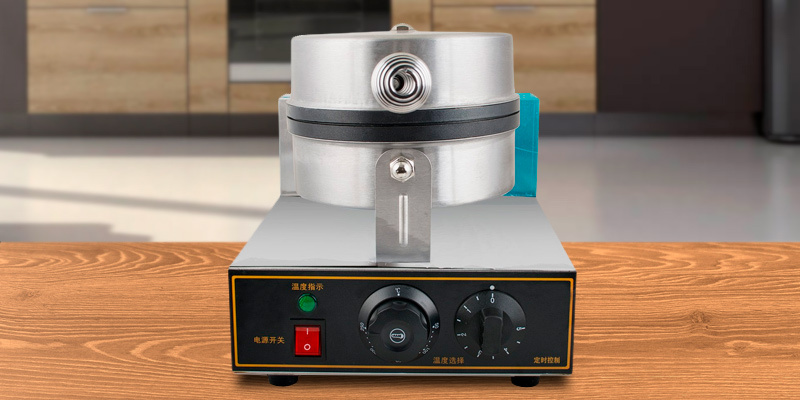 Once you've decided on the desired type, shape, and size of waffles, you should pay attention to the power capacity and the heating element the machine uses. The main challenge of waffling is to get all the snacks evenly baked, crispy and fluffy inside. 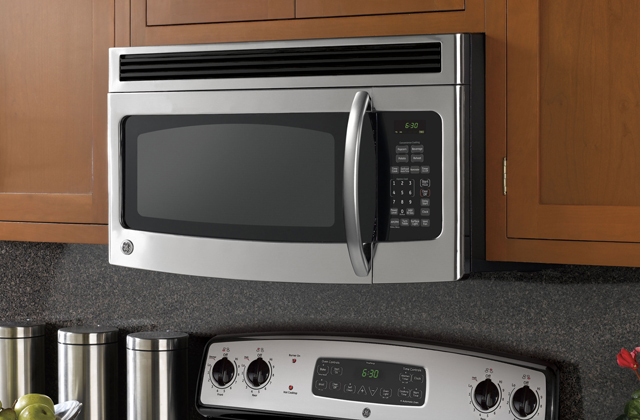 This is easily achieved by high-efficiency heating elements that spread the heat evenly throughout the cooking surface. Also, more powerful heating systems ensure faster heat up time. It's worth mentioning that all of the reviewed waffle cookers come with built-in thermostats, as you may expect from professional models. That's why you'll be able to bake waffles to the desired browning shade, crispiness level, and structure. Please, also note the waffle maker's conveniences such as indicator lights and additional timer. 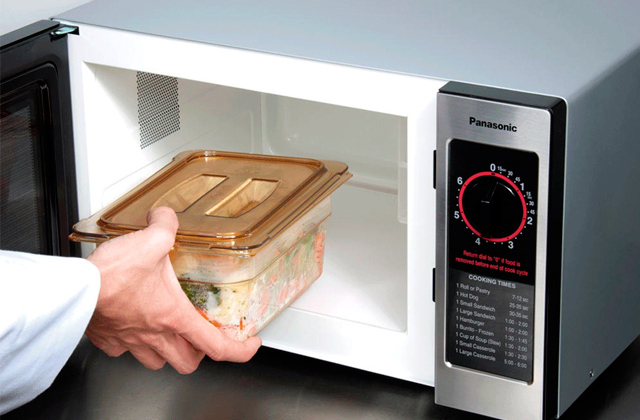 The presence of the pre-set timer is a crucial feature for busy kitchens. With it, you'll get the precise cooking results each time and never burn your waffles. The service life of a commercial waffle maker mostly depends on the materials it's made of. 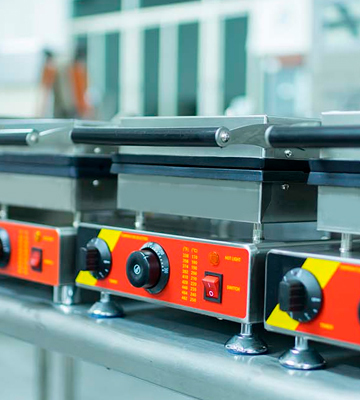 Typically, commercial waffle irons have a stainless steel housing which is corrosion-resistant and easy to clean. 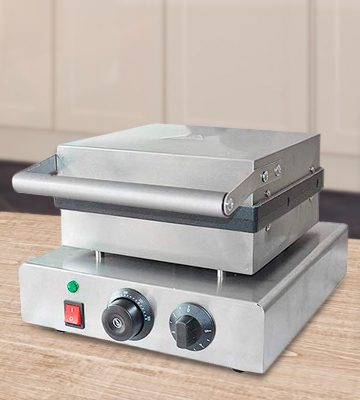 That said, stainless steel may look a bit grubby from finger marks, but we do not consider it as a deal breaker considering that restaurants do not usually keep waffle makers on display. As for the plates, they are covered with Teflon non-stick coating that will help you release waffles easily. Another thing that contributes to the ease of use is cool-touch handles which can protect your fingers from burns. It's a nice feature for commercial waffle presses that are often opened/closed in a rush. Here, we would like to give you some facts about the hard-pressed snacks that you'll be hard-pressed to find elsewhere. Waffles (or their analogs) have been around for centuries. Unbelievably, but the first predecessors of waffles, flat cakes cooked between hot metal plates, made their appearance in ancient times. They were called obelios and consisted of flour, water or milk, and eggs. The invention of waffles like we know them today dates back to the 13th-14th centuries. The first waffle recipe was found in the Le Ménagier de Paris manuscript. Originally, waffle batter was pressed between two metal plates that were suspended over a fire using two long wooden handles. Those earlier plates had the grid pattern we use today. Another interesting fact is that although waffles have been around since middle ages, the word “waffle” appeared in the English language only in 1725. The world came from the Old German “wefan” (to weave something into the shape of a honeycomb). The verb “waffle” came from a Scottish term “waff” (yelp like a puppy). Makes sense! The national waffle day is celebrated on August 24th right when Cornelius Swarthout received the first patent on the waffle iron in 1869. However, there is also an International Waffle Day celebrated all across the globe. It falls on March 25th. Though there are currently more than 15 different varieties of waffles, the American most-liked types are Belgian waffles, American waffles, and Liege waffles. Belgian waffles are the top choice because they are light and crispy but with deep ridges. American waffles are leavened with baking powder instead of yeast. Like Belgian waffles, Liege waffles are also made with yeast but they are softer and denser due to a caramelized sugar coating. The other popular types of waffles include Flemish waffles, Bergische waffles, Hong Kong style waffles, Pandan waffles, Scandinavian style waffles, Gofri, Stroopwafels, Galettes campinoises, and Hotdog waffles. You can check the most delicious recipes here. Originally, Belgium waffles were called Brussel Waffles. A Brussels citizen, Maurice Vermersch, introduced the famous recipe of Brussels waffles in America at the 1962 World Fair. However, most Americans didn’t know where Brussels was located so the vendor decided to change the name to Belgium waffles. It quickly stuck with US people. The largest waffle that currently holds a world record was created on 29 June 2013. It weighed 110 lb 3.68 oz (50 kg) and was made by Stichting Gouda Oogst in Nieuwe Markt, Gouda, Netherlands. That huge waffle had a diameter of 8 ft 1.24 in ( 2.47 m). Patrick Bertoletti is an international champion for waffle eating according to Guinness World Records. He managed to eat 29 waffles in 10 minutes in 2007, beating the previous champion, Joey Chestnut (in 2006, he ate 23 waffles in the same 10 minutes). Initially, ice cream was served in cups only. But in 1904, a Missouri ice cream vendor ran out of those cups and asked the nearby waffle seller to help him. The man simply folded the waffles and filled them with ice cream. That’s how a waffle ice cream cone appeared.